Rannie joined Turnaround in 2013 as Controller and reports to the Chief Financial and Administrative Officer. In this role, she oversees the organization’s finance and accounting functional and reporting activities, provides financial leadership and accounting strategies and ensuring that all accounting allocations are appropriately made and documented. She is also responsible for establishing and executing internal controls over the organization’s accounting and financial procedures. Rannie started her career in the United States as an information technology professional in RCG Technologies, Inc., then joined SUNY Maritime College as Assistant Controller where she was promoted to Director of Student Accounts. In 2006, she took a position at the Environmental Defense Fund, which launched her nonprofit career. She also worked for Teach for America as Director, Accounting Operations where she was promoted to Managing Director. Prior to accepting a job offer in the United States, Rannie was a Certified Public Accountant in the Philippines. 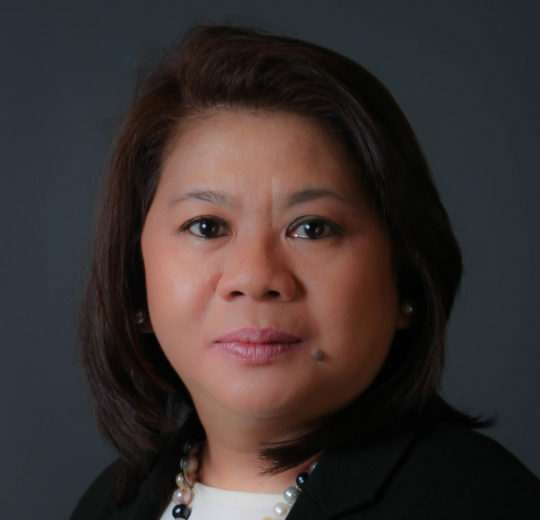 She worked in all areas of accounting and finance and became a Senior Bank Officer in the Central Bank of the Philippines. Rannie holds a B.S. in accounting from St. Scholastica’s College in The Philippines. Pope John Paul II – besides the fact that we have the same birthday, his famous words “be not afraid” and “the future starts today and not tomorrow” inspire and guide me in my life’s journey.